Brisbane, March 29th, 2014 (Alochonaa):In 1972, the Indian Space Research Organization (ISRO) was formed under the Chairmanship of Vikram Sarabhai, who exerted a substantial influence over its ideational and institutional make-up. At its inception in the 1960s, the space program was initially part of the Department of Atomic Energy. The challenge at first for the space program, under Vikram Sarabhai was to recruit and build a dedicated team of scientists for the space research program. International assistance from France, the Soviet Union, the United Kingdom and the U.S. was pivotal in developing the programs capacity. Funding and technical assistance came from overseas, leading to the establishment of the Thumba Equatorial Rocket Launch Center (TERL) in Southern India. In 1963, the U.S. built the Nike-Apache sounding rocket, and launched from this facility. In the late 1970s, the German Aerospace Center DLR, provided assistance in the form of computers and algorithms used in guidance systems for the SLV-3. In other areas, ISRO quickly obtained French Viking rockets for its liquid propulsion systems for the PSLV and Russia’s Glavkosmos cryogenic engines for its Geosynchronous Launch Vehicles (GSLV), although without the production technology. ISRO’s strategy for building up the Indian space launch capabilities has largely followed the guiding principles of Vikram Sarabhai – obtain technology from abroad, and reduce the lead times that would enable meeting funding limits and technical targets. In contrast to the UK which graduated immediately to the Blue Streak Intermediate Range Ballistic Missile (MRBM), leading to the collapse of its rocket program, India started experimental work on small rockets and launched its dedicated space launch rocket program in 1973, incrementally building up its rocket expertise. The space program faced a few serious delays and some failures, particularly notable were the initial Satellite Launch Vehicle-3 test failures a derivative of the U.S. ‘Scout’ rocket. Nevertheless, ISRO has economized and brought technical efficiency to its launch vehicle projects. To that degree, the transfer of lesser technologies have served as building blocks enabling a regional space and missile aspirant such as India to indigenously develop follow-on technologies related to guidance and other inertial systems generally. As one notes, “If a country has advanced precision tool manufacturing industries, as well as major engineering laboratories, domestic [Iertial Navigation System] is feasible.” India falls within such a category of states. India initiated the process of building up its space launch capabilities between the 1960s and late 1970s, which encompassed a period when export controls were lax. Despite the expansion of multilateral export restrictions by the 1980s through the establishment of the MTCR in 1987 on space related technologies pertaining particularly to space launch vehicles from the U.S. and other countries, India had already secured the baseline technologies for the development of advanced rocket systems by the 1980s. For instance, technology denial regimes such as the MTCR have delayed ISRO’s program by raising costs and delaying projects. These restrictions have also had the converse effect of enabling India to indigenize development of numerous technologies such as shell catalysts for rocket fuel, magnesium plates for launch vehicles, and radiation-hardened integrated circuits for satellites and maraging steel for rocket motor casings. This indigenous production effort led to the creation of a network of domestic suppliers to whom development of technical components are sub-contracted. These manufacturers include public sector and private sector entities. To elaborate, currently, the workhorse of ISRO’s launch vehicles is the Polar Satellite Launch Vehicle (PSLV). Since the first launch in 1994, all the thirteen PSLV launches have been successful. Further, India is poised to launch in 2009 its Geo Synchronous Launch Vehicle-III (GSLV) boosted by an indigenously developed cryogenic rocket engine, which can carry a 4 ton payload for placement in geosynchronous orbit. The ground test was successfully carried out at the Liquid Propulsion Test Facility in Southern India in November 2007. This engine will form the cryogenic upper stage of the GSLV-III and combines Liquid Oxygen (LOX) and Liquid Hydrogen (LH2). Following years of failure recently ISRO successfully completed the development flight of its GSLV-D1 launching an experimental satellite GSAT-1. ISRO also has three successful developmental GSLV launches using Russian cryogenic engines to its credit. At best multilateral export restrictions have delayed ISRO’s launch vehicles projects. If anything technology embargoes have only reinforced the imperative to pursue autarkic solutions to redress shortfalls in strategic technologies. India has enjoyed substantially greater success in building satellites, and possibly matches the capabilities of the advanced spacefaring nations in the world. The first Indian satellites were the Aryabhatta, Bhaskara and Rohini and helped the country acquire the requisite expertise for building more complex satellite systems. 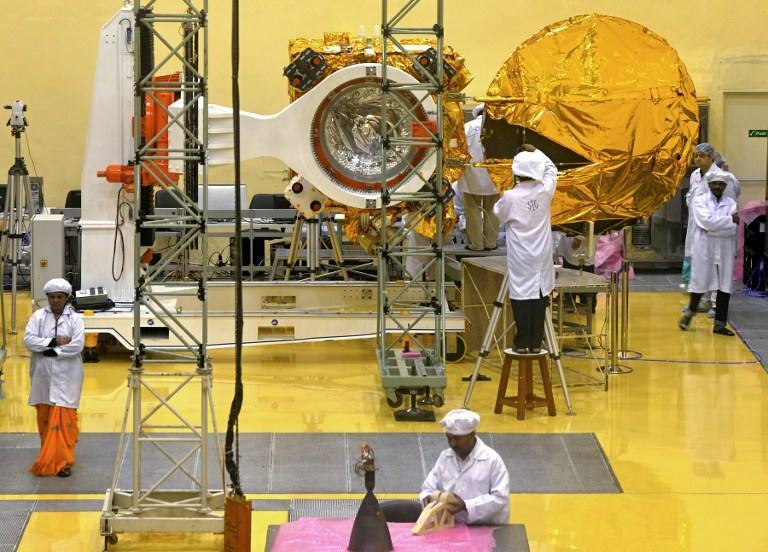 Multilateral export restrictions have not impacted India’s capacity to build sophisticated satellite systems, which it has accomplished through a successful program of indigenizing satellite technology. Indian satellites are used for specific developmental objectives including environmental degradation, soil erosion, monitoring fishery resources, flood and drought monitoring, mining, surveying mineralogical resources and ascertaining land coverage for wildlife parks. The initial 1,100 kilogram Indian National Satellite-I (INSAT-I) satellite were built by Ford Aerospace. The heavier two ton INSAT-2 satellites with C, S and Ku band transponders were indigenously developed. 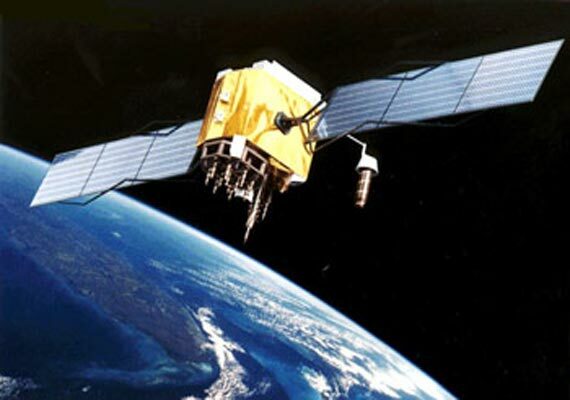 The first of the INSAT-3 satellite series that cater to mobile satellite services was launched in 2000. Following this launch ISRO embarked on the successful development and launch of the INSAT-3C, INSAT-3A, INSAT-3E between 2002 to 2003. Both the INSAT-3C and INSAT-3A are multi-function satellites that service India’s meteorological and communication needs. ISRO’s Indian Remote Sensing (IRS) satellites form the core of India’s satellite network. Thanks to the IRS satellites, from the 1980s onwards, ISRO progressively cut its reliance on the U.S. Landsat and the French Satellite Pour L Observation de la Terre (SPOT) satellites. The IRS-1A, IRS-1B and IRS 1-C were launched in March 1988, August 1988 and December 1995 respectively from aboard Russian launch vehicles. The IRS-1D and IRS-P satellites are launched from the PSLV. The IRS-A and -1B were equipped with 72-meter resolution multispectral and 36-meter panchromatic sensors. Multispectral sensors help detect multiple images of a single object. Panchromatic sensors however provide a singular image of a specific area; as a consequence their data collection range may be more limited. This is not the case with the IRS-1C and 1D which have a higher multispectral resolution of 23-meters and 6-meters panchromatic. Another satellite, IRS-P6 (Resourcesat) was successfully launched in October 2003. In 2005, India launched IRS-P5 or Cartosat-1 and in 2007 IRS-P5 or Cartosat-2. All these developments demonstrate that India possesses the requisite technical proficiency for Research and Development (R&D) of all complex satellite systems. * The Author is a PhD candidate at the School of Government and International Relations, Griffith University, Australia. This is an excerpt from an article published by the Author in the Journal Astropolitics: The International Journal of Space Politics and Policy, Vol. 7, Issue 1, 2009.